Pillow that calls for a bedtime! Made of the finest fabric like Egyptain Cotton, Irish Linen with soft faux fur. 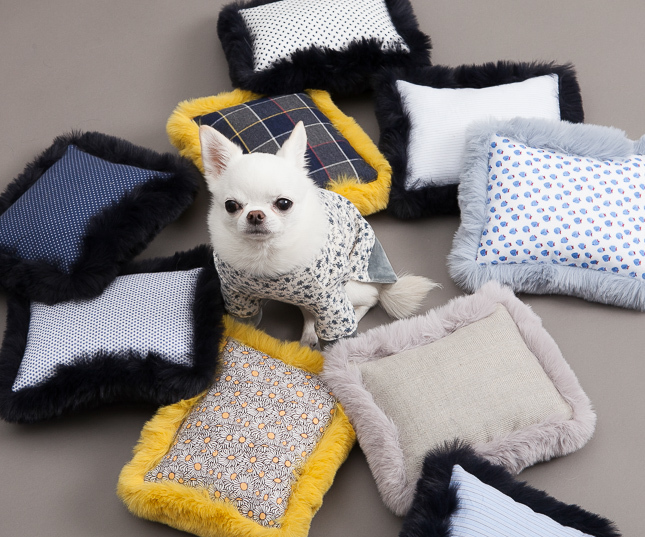 This double sided pillow is a must have for a pooch who loves a chin rest. * The other side of Fur will be sent randomly. Click the button below to add the Louisdog Sleepyhead Pillow to your wish list.